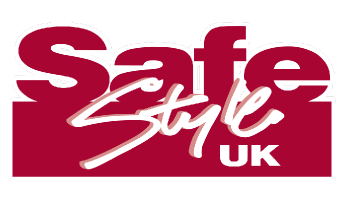 Safestyle are the UK’s number one supplier and installer of replacement uPVC windows and doors. With over 800,00 customer across the UK and award winning customer service teams they pride themselves in offering a service that stands out from the rest. Safestyle required an automated card payment solution that didn’t require ‘human intervention or participation’, other than by customers themselves, to enter their own details on their own telephone. They were previously using a virtual terminal in their contact centre, with agents listening to sensitive card details over the phone. Payments for off-site installations were being done using costly PDQ machines, requiring the customer to present their card. Key IVR provided an ‘out of the box’ Payment IVR that allowed for Safestyle to customise the service to fully suit their specific needs. The card payment solution includes features such as Tokenisation, allowing customers to save their card details for future use in a way that is safe and secure. This use of tokenisation gives the customer the ability to pay their deposit, with any following payments towards their balance having a much simpler process. They won’t need to re-enter their card details, speeding things up and increasing convenience. Key IVR also implemented an Agent Assisted Payments solution which, using DTMF suppression, allows for constant conversation throughout the entire sale. When the customer is asked for their card details to pay for their product or service, they can enter them into their telephone keypad and the agent receives a partially masked number on their dashboard, maintaining a safer process for Safestyle UK and their customers. “Key IVR are a proactive, efficient, versatile and knowledgeable company who have been a pleasure to deal with. They listened very carefully to our requests and answered our questions fully when we weren’t sure of how things work. They guided us through each step of the process from design to implementation, ensuring our original specifications and wishes were accommodated fully. The telephone payment facility provided by Key IVR has given us exactly what we were looking for, and has been delivered in a surprisingly short space of time. The whole service was set up professionally and accurately, thanks to Key IVR’s experienced team. It has been very well received by our sales force, and it has also freed up valuable staff hours by not having to process all customer payments manually”.